Sanatorium "Solar Glade" is located at a distance of 11 km from the regional center of Svalyava, among the mountains, streams and clean air. There are 43 comfortable rooms for guests. 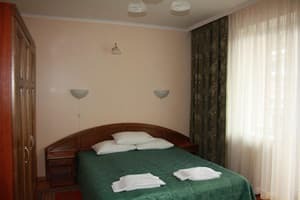 Each room of the sanatorium "Solar Glade" is equipped with comfortable furniture, TV, private bathroom and free Wi-Fi access, air conditioning, hairdryer, refrigerator, iron, clothes dryer, iron. For an additional payment, you can order laundry services. 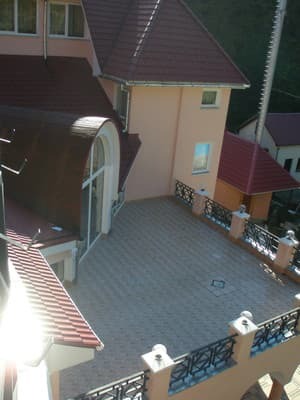 Description of the room: The attic room is equipped with a double bed. Description of the room: One-room comfortable room. A bathroom is shared - a bathroom, a toilet, a bidet. Description of the room: There is a comfortable double bed in the bedroom and a sofa in the living room. Description of the room: The spacious apartments consist of 2 bedrooms and a living room. In one bedroom there is a double bed, in the second one there are two single beds. The cozy living room is represented by a soft corner. Children under 5 years old live free of charge (without providing a separate bed), older - 50 UAH. For an adult, the estimated cost is 100 UAH (an armchair, a cot). 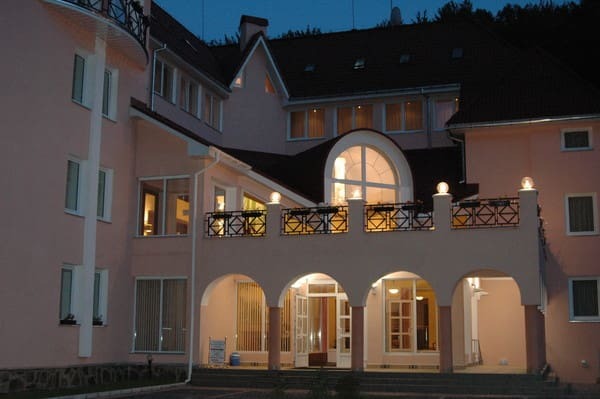 On the territory of the sanatorium there is a dining room and a bar with drinks. There is an opportunity to order diet food. Approximate cost of breakfast 80 UAH, lunch 90 UAH, dinner 80 UAH. 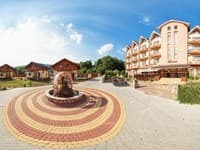 Sanatorium "Solar Glade" is located at a distance of 11 km from the regional center of Svalyava, among the majestic mountains, ringing streams and clean air. 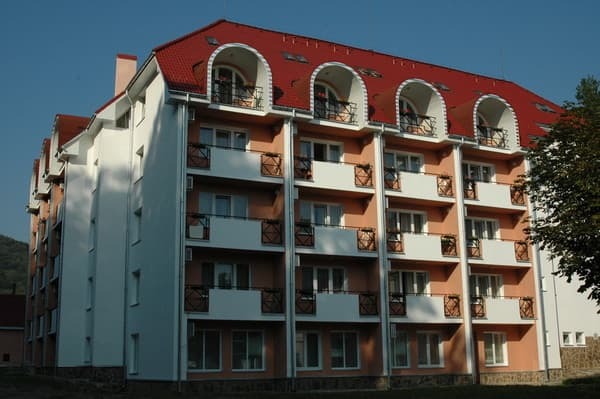 The distance to the village of Polyany is 1.7 km and 194 km to the regional center of Uzhhorod. 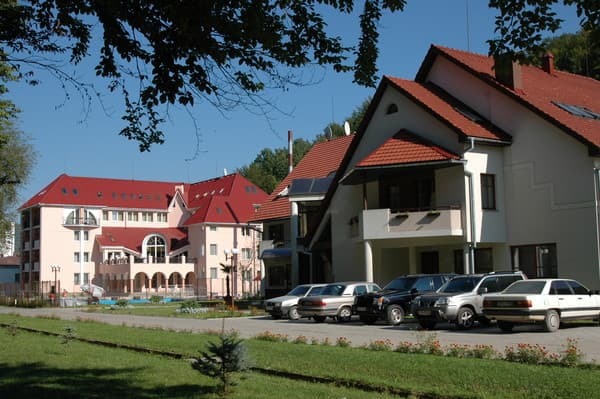 The cost of the services of the resort "Solnechnaya Polyana" includes medical courseware (1 doctor's consultation, pump room and transfer) from the nearby sanatorium "Sunny Transcarpathia". By rail: to the railway station Svaliava. 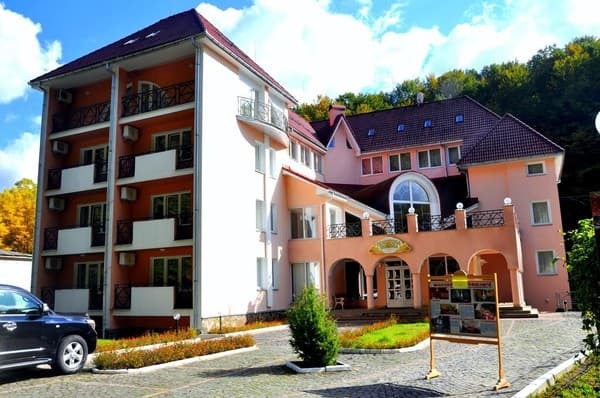 From the station by shuttle bus to the sanatorium complex "Sunny Transcarpathia". By plane to the airport in Uzhgorod.